EVERY MORNING WHEN WE WAKE-UP there is the opportunity to engender a feeling of positivity towards all that we are going to meet during the day. Maintaining a positive attitude while dealing with daily challenges is not always easy but making it become a practice can help us meet life’s challenges in a prepared and self-empowering way – and it is certainly good for our wellbeing and for those with whom we are with. Today has the potential to be a great day. It really does – but if that sentence is a little over-reaching for you then you may like to change it to ‘This day has potential’. Everyday has the potential to have greatness – not necessarily every moment – and not necessarily in the big, dramatic ways we would like. But everyday there is opportunity for golden moments of connection, attraction, support and loving kindness to occur – we just need to be open to it. By replacing negativity and anxiety (which can often be our default thinking and feeling modes) with new enlivened and positive thoughts and feelings we can begin the day focussed and ready for its unfolding positive potential. Prepare positive words and statements that feel authentic to you. Remember they need to resonate as ‘feeling good’. Try and integrate them as your first thoughts of the day from the moment you wake-up – such as: ‘I like the idea of this day bringing me a sense of fulfilment’ or ‘I like the idea of this day bringing me some relief and support’. When we are on the daily treadmill we really need to integrate something we love to do into the mix – and for this activity to be something that is conducive with our own wellbeing. At Alamandria, we like to be able to meditate everyday, go for a walk in nature, do yoga or do a coloured chalk drawing. The time we put aside for this is not as important as making the time to do it. Whether it is an hour or fifteen minutes – it is more about making it a regular practice, and enjoying it, knowing that it will nourish our sense of wellbeing and open ourselves up to a more improved way of living. Choose something that will nourish your wellbeing daily and make it a practice each and every day. Colour is known as the language of the soul and being with a colour that we are drawn to can enliven us – like watching a beautiful sunrise or sunset. On all our retreats and workshops with prison inmates, corporates, individual clients and group participants we work with the power of colour and witness their incredible effects. 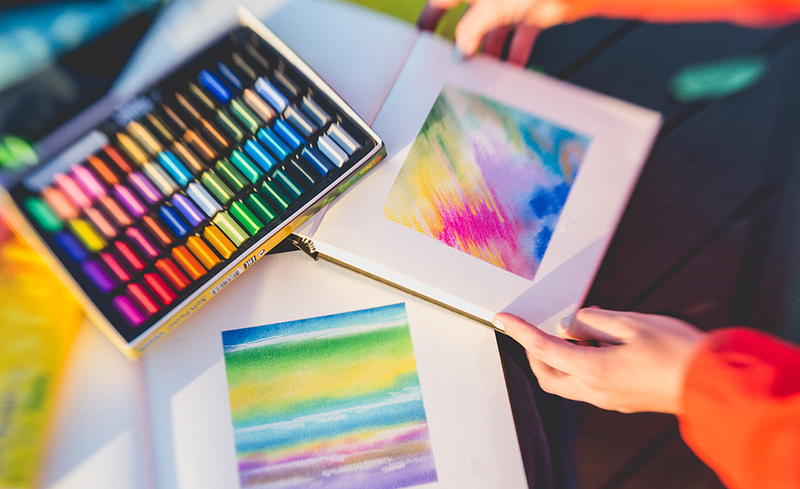 You can create your own colour mood drawings with chalk pastels or it may be you have coloured clothing items that you are drawn to, or a colour print you can put by your desk at work. Invite colour into your life! Start integrating colour into your day – choose colours that lift your spirit and invite them into your surroundings – at home or in the office in the form of pictures, clothing, flowers or your own chalk mood drawing. Be open to changing colours depending on your mood. So often songs can come into our heads seemingly out of nowhere. If you pay close attention you may find that the songs that pop into your head at any given time can often have lyrics that are linked to exactly how you feel at that particular moment. It is important to bring mindfulness to the music we play because of the subliminal stimulus it provides. 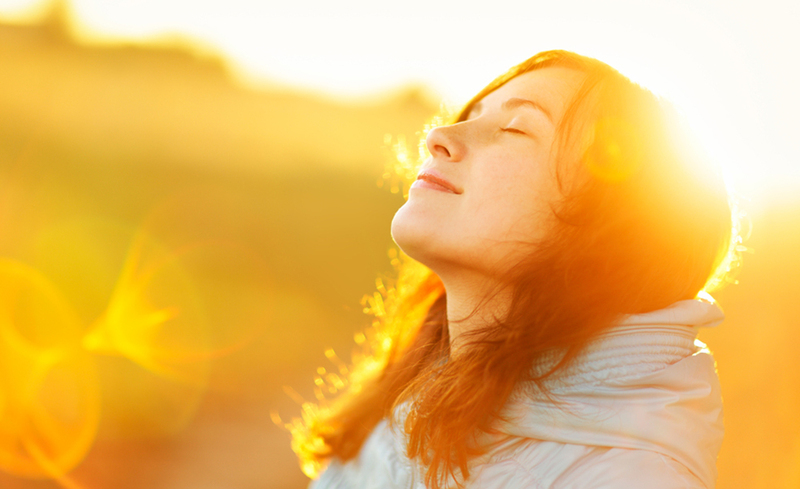 Choose music that makes you feel good, calm, uplifted and positive as a way of adding vitality to your day. Playing an upbeat song and having a dance in the privacy of your space is a great way to take a break from a worry or concern and invites fun and spontaneity into the present moment. Start a ‘Positivity Playlist’ – choose songs that make you feel good with lyrics that are congruent with your own inner vitality! Similar to what is written above about music – the same can be said about movies, TV, Playstation games and Youtube. If you want to feel good then choose entertainments that are imbued with good feelings and uplifting stories. If it is a habit for you to read or listen to the news you can choose how and when you engage with it. Perhaps try and give yourself permission to take every second week off from news. Start to become a discerning consumer of your own ‘mind food’ as these often negative stories & messages go right into our psyche and have an impact without our realising it. Be mindful about how you wish to begin or close your day and the associated energies that will be helpful and healthy for you. Think about what kind of ‘Entertainment for Wellbeing Plan’ you want to integrate? With so much at your fingertips you can choose what you will allow into your experience and what you think is best to leave out. In a soul meditation journal every day is different. So often colour is spoken about today in a way that talks of ‘like’ or ‘dislike’ or ones ‘favourite’. The more that we immerse ourselves in the world of colour the more we can discover that we no longer have a favourite – instead we are drawn to different colours on different days depending on our soul mood and what we feel we ‘need’. This is because we can sense the unique quality a colour has and it can be therapeutic to have this colour before us – calming or enlivening or grounding us. We can ask ourself the question: What colour do I need today? A simple practice such as this can not only make us more self-aware of our own inner feelings, but it can also help awaken our aesthetic sense for the beauty that lies within colour combinations, and we may begin to see the colours in nature in a more perceptive and appreciative way. All you need is a journal, chalk pastels, a piece of white t-shirt fabric (for the rubbing) and low adhesive tape. 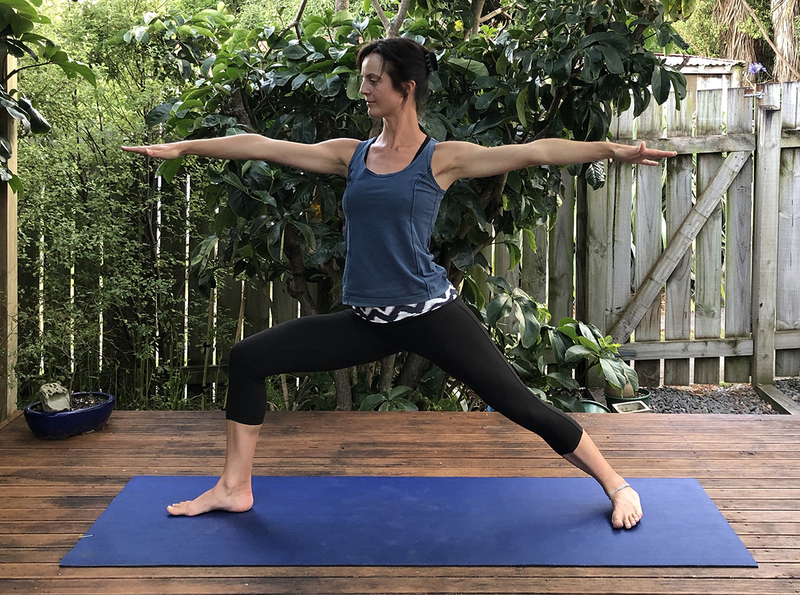 Chosen because this pose expands the heart centre, which offers an uplifting feeling, as well as develops inner and outer strength, endurance and focus. Stand with your feet together, then on an inhalation, step or jump your legs apart sideways, feet and torso will be facing forward. Raise your arms sideways in line with your shoulders. Turn your right foot sideways, so that your toes face the right edge of your mat. Exhale and bend your right knee, aiming to keep your right shin perpendicular to the floor and keep your right knee in line with the heel of your right foot. Stretch both arms sideways, from shoulders to fingertips and keep them in line with each other and turn your face to the right to gaze at your right hand. Stretch the muscles of your left leg fully, keeping the knee straight. Stay in the pose for as long as is comfortable, up to 20 or 30 seconds. Remember to breath. Inhale and straighten your right leg. Turn your right foot so that it faces forward again. Then repeat this pose to the other side.